The SPNANO-UV submersible UV sterilizing filter is perfect to help you eliminate unsightly algae and control unwanted algae blooms. The UV bulb aids in the health of aquatic life by eradicating free floating microorganisms and disease causing pathogens in both salt and freshwater aquariums. 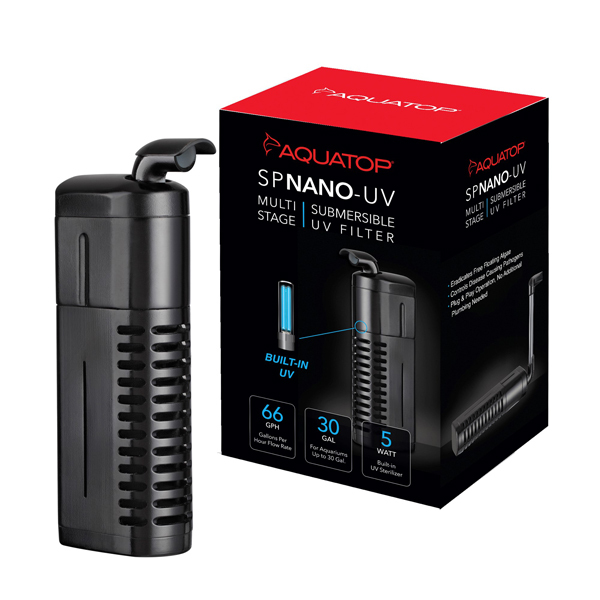 The SPNANO-UV Filter uses a submersible top-mounted pump to draw water past its compact UV bulb. 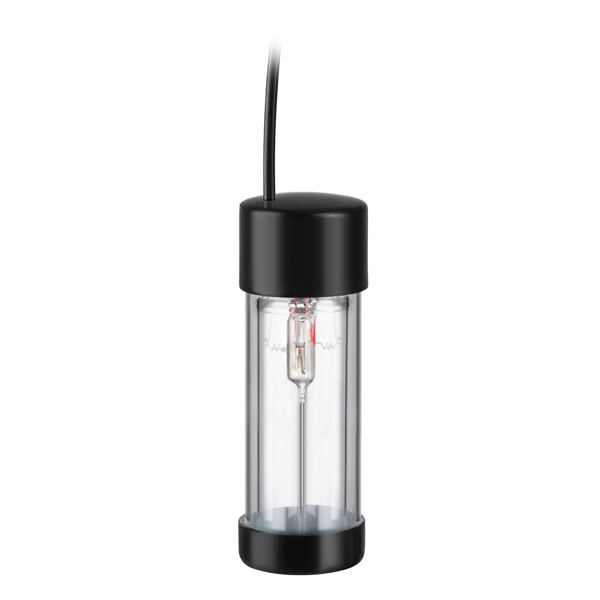 The UV bulb is encapsulated in a unique quartz tube and includes a sponge pre-filter to mechanically filter organic waste before water passes over the UV bulb. The versatile design of the SPNANO-UV Series Filter allows for UV Sterilization to be submersed in both fresh and saltwater nano aquariums. 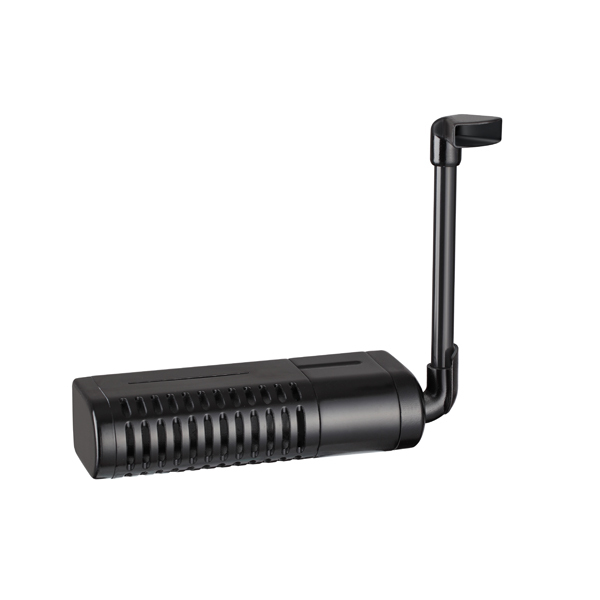 With its compact size, the SPNANO-UV can be easily mounted vertically or horizontally in smaller aquariums or sumps tanks. 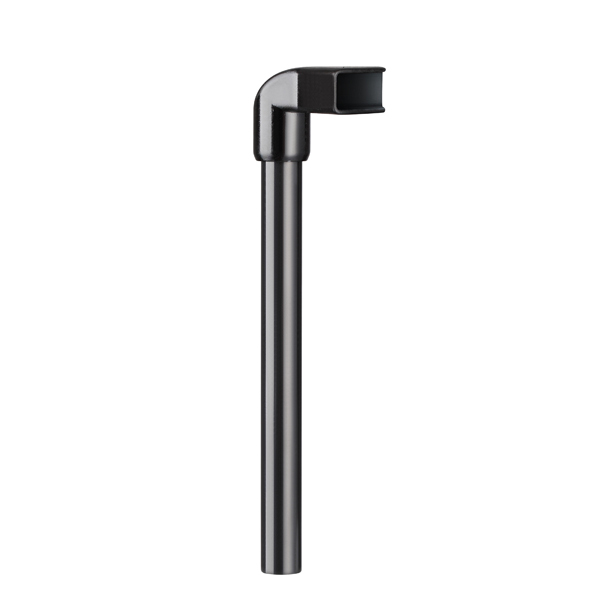 The design allows for easy installation and maintenance.